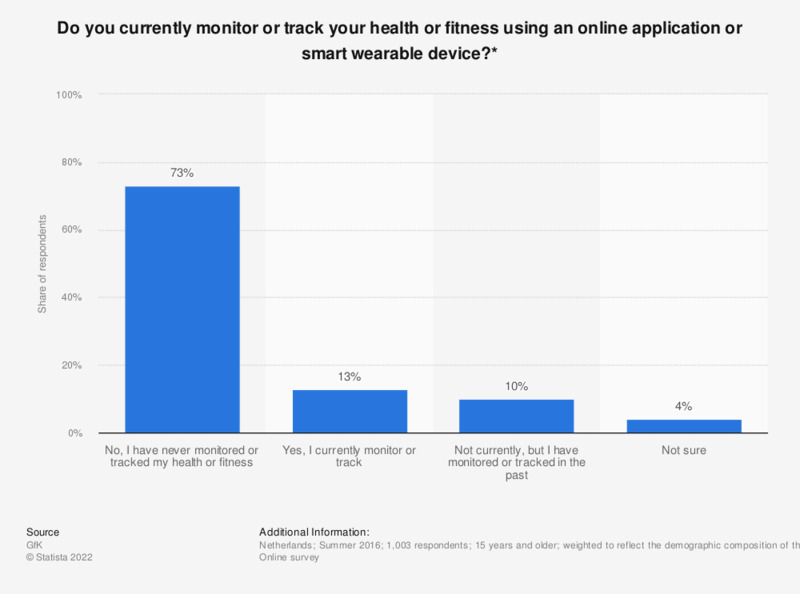 This statistic shows the outcome to the survey question: "Do you currently monitor or track your health or fitness using an online application or smart wearable device?" Ten percent of the Dutch respondents indicated they are not currently tracking their health but have done so in the past. * This question was phrased by the source as follows: "Do you currently monitor or track your health or fitness using an online or mobile application or through a fitness band, clip, or smartwatch? This could range from monitoring your diet, weight, or health concerns to tracking your steps or other exercises".